There has been so much going on this week indoors… seems like it has rained everyday heavy. However, September… even with the kids grown and having their own kids, is always a time my wife and I like to add some color to the house. Sort of gives the house a “fresh” look and feel. I view plants as “Nature’s Art.” When plants are potted they can be moved around to create so different looks indoors… later they can be moved to create a new look or replaced with a new form, plant or color scheme. One of my favorites for color indoors – Bromeliads. They offer some many options in leaf forms, bloom colors and sizes. Well from the picture you can see of the bromeliad garden in my office it is time to replace the plants and bring in some new color. 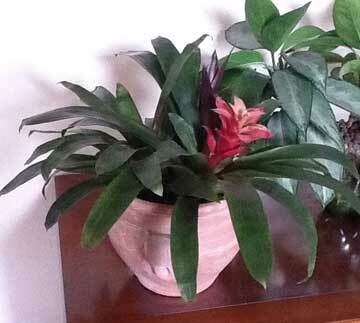 Bromeliads make it possible change looks and color schemes indoors quickly. One of the easist ways to do that is with a Bromeliad Garden you can create easily. Soon the holiday decorations will begin to make their show…. Halloween is covering the stores. Indoors… plants can sometimes get lost in all the excitement of the holidays. However, they still need care and attention. Caring for plants indoors during winter months is different, the light they receive, intensity, water use and other items are all different. Prepare and Care for your indoor plants during the holiday and over the winter. Answer: Extreme caution should be exercised when using a sprayer that has be used as a weed killer sprayer. While the metal tank (most are plastic today) may be cleaned it seems almost impossible to remove all trace of the chemical from the hose. Commercial cleaning compounds developed for this purpose, may be obtained from firms dealing in spray equipment. If this is unobtainable. clean the sprayer and hose with strong soapsuds and triple rinse the container… I would go for 5 times! 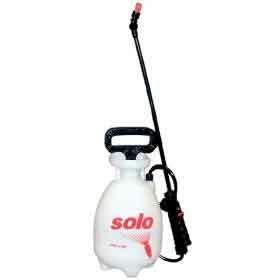 It is ALWAYS recommended to have a sprayer for weeds (herbicides) and another sprayer for pest and insecticides). Answer: The following are some that tolerate salt spray. Use these as a guideline only. Each plant may do better in one situation over another. Annuals – alyssum, centaurea, coreopsis, larkspur, dianthus, gaillardia, candytuft, phlox, petunia, portulaca and nasturtium. Perennials – aconitum, golden alyssum, arabis, armeria, coreopsis, dianthus, dictamnus, gaillardia, helenium, hemerocallis, heuchera, iris, lupine, lychnis, rudbeckia, sedum and veronica. Shrubs – bayberry, barberry, tamarix, euonymus, elaeagnus, privet, sumac, Rosa rugosa, Ilex glabra, honeysuckle and beach plum. Japanese Black Pine is a good evergreen for a windbreak and Juniperus horizontalis on the ground. Also English Ivy, Virginia Creeper and Matrimony-vine.